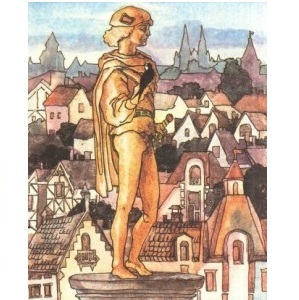 High above the city, on a tall column, stood the statue of the Happy Prince. He was gilded all over with thin leaves of fine gold, for eyes he had two bright sapphires, and a large red ruby glowed on his sword-hilt. 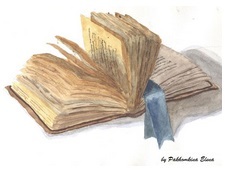 He was very much admired indeed.<…> One night there flew over the city a little Swallow. Обратите внимание на слова выделенные жирным шрифтом. Их рекомендуется выучить. «The Happy Prince looks so beautiful. He looks just like an angel,» said charity children to one another as they came out of the cathedral. “The statue of the Happy Prince must surely be the finest in all Christendom. I couldn’t design better one myself, ” said the teacher of Arts. The chill cold wind blew across the square. The autumn is about to return. In the countryside the peasants have finished the harvest and the changing wind told the swallows that it will soon be time to leave for Egypt. One little swallow was not interested in leaving for he has fallen in love with the most beautiful reed. «Look at me. Will you love me?» said the Swallow, and the Reed would nod and bow and made the most beautiful curtsies for it was all she could do in the wind. Finally the trees shed. It was the sign that autumn had at last come and they all flew away. Several weeks passed and the little swallow felt quite lonely, and began to tire of his lady-love. «She was no conversation and she is always flirting with the wind». «Will you come away with me?» he said finally to her; but the Reed shook her head, she was so attached to her home. «You have been trifling with me,» he cried. «I am off to the Pyramids. Good-bye!» and he flew away. «I will stay there,» he cried; «it is such a fine position, with plenty of fresh air.» «And I have a golden bedroom,» he said softly to himself as he looked round, and he prepared to go to sleep. «What is the use of a statue if it cannot keep the rain off?» he said; «I must look for a good chimney-pot,» and he was going to fly away. But before he had opened his wings, a third drop fell, and he looked up, and saw — Ah! what did he see? «Who are you?» he said. There is not a single cloud in the sky. — На небе ни облачка. What a dreadful climate! — Какой ужасный климат! What’s the use of….? — Что толку от ….? «What! Is he not solid gold?» said the Swallow to himself. «But I have no time. I must leave for Egypt,» said the Swallow. «My friends are flying along the Nile at this very moment». 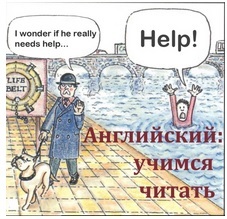 Make sure that you know the translation of the words in bold/ Убедитесь, что вы знаете перевод выделенных жирным цветом слов. 1. Where does the action of the story take place? 3.What does the Happy Prince look like? 4. What does the swallow fall in love with? 5. Why does he decide to leave it? 6. What is strange about the Happy Prince?